When it comes to home maintenance, roofs are sadly often neglected. Keep your roof in top condition by scheduling annual interior and exterior roof inspections with A.H. Construction & Roofing Company. During a roof inspection, one of our highly-knowledgeable roof experts will assess your roof for leaks, holes, missing shingles, areas of poor ventilation and other common roof problems. Inside the roof, we will check for leaks, holes and for any areas that might be sagging or buckling. Upon completion of the inspection, you will be presented with a comprehensive report of your roof’s overall “health” and recommendations for improvement, along with a no-obligation cost estimate. A Lifetime Warranty – We guarantee that every roof that we install or repair will be air-tight and leak-proof, or your money back. 24 Hour Emergency Services – We’re on call 24/7. If your roof becomes damaged due to weather, give us a call–day or night. Installation in One Day or Less – We want to ensure as little disruption to your daily life as possible, so we aim to have jobs finished in one day or less. An Owner On-Site Guarantee – Our owner, Ali Huwio, is present at every job and manages each project from start to finish. Free Inspections – We will happily inspect your roof and provide you with a no-obligation estimate of recommended repairs or services. Insurance Claims Assistance – We have in-house insurance claims specialists to help you expediently file your claim. Expertise – We are highly-trained experts in our field. 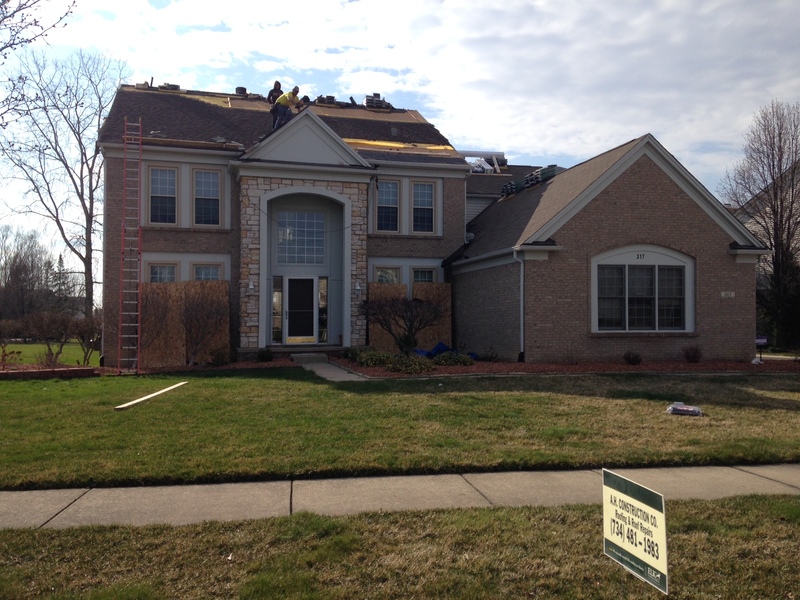 We can service any style or roof from tile to cedar shake. We can also repair any type of roof whether it is flat or pitched. If you suspect your roof has experienced weather-related damage call A.H. Construction & Roofing Company immediately at 734-481-1983 for a free inspection. We will do everything we can to ensure your roof is once again working optimally.